24/7 access to doctors by phone, web, or app. Whether your child wakes up with a fever at 2 a.m. or you’ve just received a serious diagnosis, we’re here. Set up your Teladoc account today. Teladoc is already part of your health benefits. Take advantage of everything Teladoc has to offer. *If you are eligible for Best Doctors but not Teladoc, please click here. 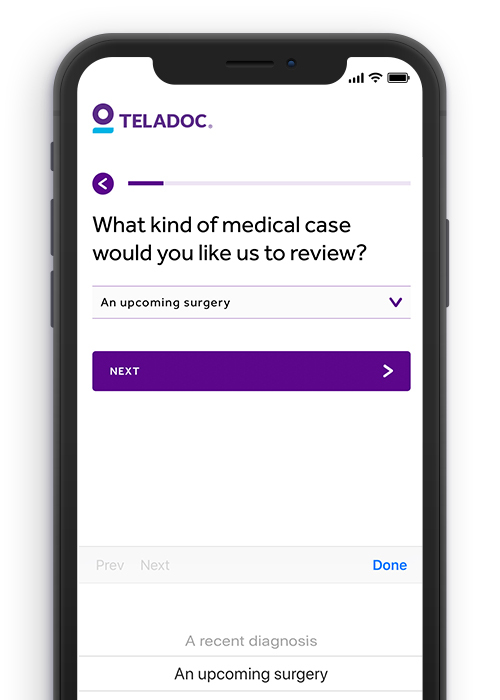 Put the power of Teladoc in your pocket. manage your account, talk to a doctor, and more. Treatment for minor conditions like the flu, bronchitis, and more. Counseling for stress, addiction, depression, and more. Treatment for psoriasis, eczema, acne, and more. Review of diagnosis for conditions like back pain, joint disorders, and more. 22 million members trust us. No more waiting with people coughing and sneezing on you in the waiting room. I was able to do my appointment from the comfort of my living room. Had it not been for their guidance, I would have had a hugely more invasive procedure that would have limited function and extended my recovery time. 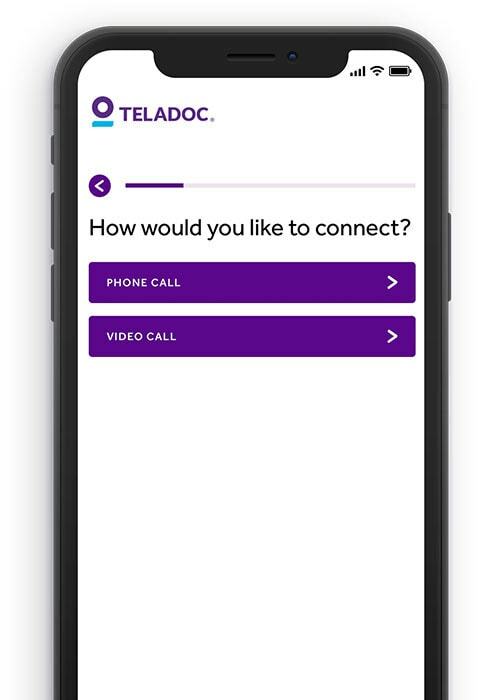 With Teladoc, I can take my appointments during my lunch break at work. It's been a huge help. 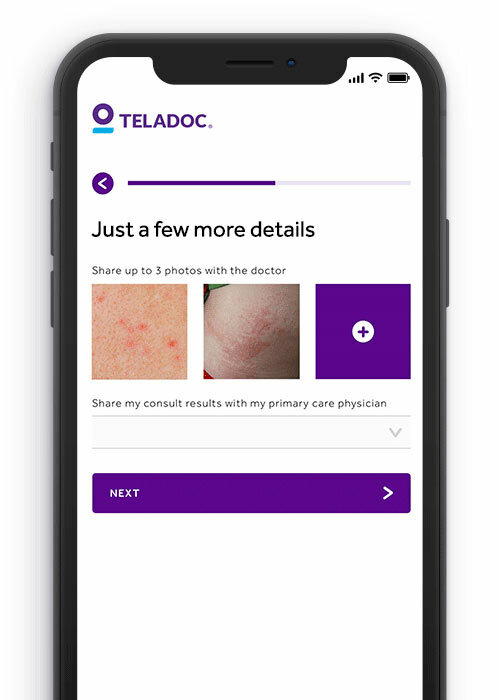 The Teladoc dermatologist gave me an in-depth explanation of my condition and answered all of my questions. So thankful I could get resolution without having to wait weeks to go in person. 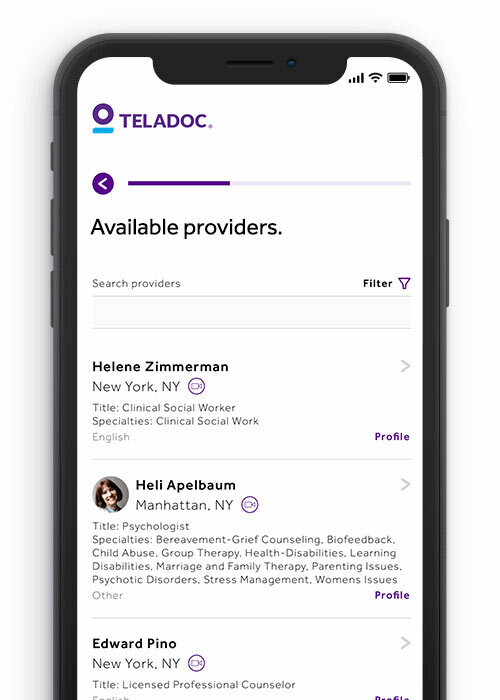 Teladoc makes it so easy to get the help I need. I see a therapist once a week from the comfort of my own home, at a time that works for me. I am so thankful I have Teladoc! It was very reassuring to know I could get in touch with a doctor while on vacation in another state. I highly recommend Teladoc. Instead of trekking to a doctor or taking time off from work, I call Teladoc. It’s convenient, it works with my schedule, and the doctors are very professional. The doctor was extremely helpful and kind. He listened to my symptoms and knew right away what I had. Extremely helpful on a Sunday when my normal doctor isn’t open. Will definitely be using again! Teladoc has helped when I had the flu, a terrible stomach bug, and they even helped at 2 a.m. when I had a UTI. Teladoc is always there for me and always helps me get fast treatment. It’s a no-brainer. © 2019 Teladoc, Inc. All rights reserved. Teladoc and the Teladoc logo are trademarks of Teladoc, Inc., and may not be used without written permission.